Fall would not be complete without our Annual Scarecrow Contest! Have you always wanted to create your very own scarecrow? Here's a chance to let your imagination run wild, and compete for fun prizes in the process. 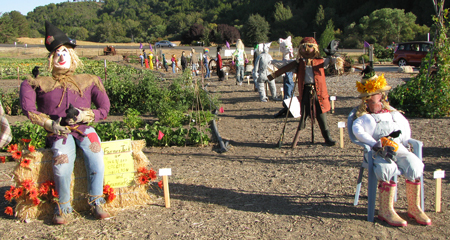 Gather up your supplies and enter the Jack Creek Farms & Friends Second Annual Scarecrow Contest! There is NO entry fee, and you can use supplies scavenged from the barn or storage shed. Borrow Grandpa's old straw hat, maybe Grandma’s old apron… even the dog’s bandana… just be sure to ask first! Youth groups, classrooms, service clubs, organizations, families, individuals and businesses are are invited to participate. There are 4 different categories, with 3 prizes in each category! As an added bonus, in the business division, KJUG is giving away a $500 Radio Advertising Schedule on KJUG Radio 98.1 FM. What a fabulous opportunity for small businesses in our community. Thank you KJUG! Click the links to the left to learn how you can participate in this fun for all ages family event. The deadline to submit your entry form is September 1st so be sure to fill it out and drop it off at the farm or mail it in soon! Here's a photo of some of past scarecrows. Click the Photo Gallery link to the left to see all of the scarecrows, and click the Awards link to see past contest winners. 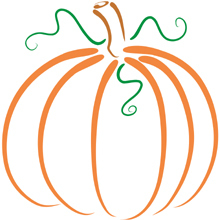 If you would like to be a 2012 Scarecrow Contest sponsor, please click here. agriculture and small family farms in our community.